Darren Kane and Matt Pascoe have won both of the preliminary Feature Races at the Super Sedan Grand Prix at the Gulf Western and Independent Oils Raceway, Latrobe on Friday night. After twelve qualifying heats, both Kane and Pascoe had recorded two wins and a second placing leading into the two finals. In the first final, Darren Kane and David Nichols would start on the front row for the fifteen lap final, with Sean Black and Mick Nicola Snr on row two. Despite getting the best of the start, Kane held the lead for only two laps before David Nichols took the lead away from Kane. Both Black and Nicola were chasing hard, as Kane took back the lead on lap six. Nichols and Kane had a great battle for the remaining laps, with Kane winning by two car lengths from Nichols, while Sean Black finished third. Steve Latham passed Nicola in the concluding stages to finish fourth. In the second final, Pascoe and Adam Beechey would have the honours of starting on the front row, while Ryan Alexander and Darren Anning would start on row two. Pascoe, the defending Champion, jumped to the lead at the drop of the green, as systematically opened a gap on the field, leading all the way. Pascoe would win by a quarter of a lap, with Ryan Alexander finishing second, Beechey third, and Dave Gartner fourth. With the race going without a stoppage, Pascoe lapped up to eighth place in just fifteen laps, as Pascoe put in a dominant display. It did not go to plan for Callum Harper, with the National Title holder damaging an engine, but the team will race on night two. After the two finals, Kane and Pascoe are still tied on points (136), leading into night two, with David Nichols, also a former winner of the Grand Prix in third place, eight points behind Kane and Pascoe. Adam Beechey and Sean Black (105) along with Ryan Alexander (102) complete the top six. Odd Final, 15 laps: 1. Q36 Darren Kane, 2. T3 David Nichols, 3. Q26 Sean Black, 4. T8 Steve Latham, 5. V3 Mick Nicola Snr, 6. T48 Wayne Dillon, 7. N23 Andrew White, 8. T11 Gil Aylett, 9. Q77 Sam Roza, 10. N47 Darryl Moon, 11. S93 Kym Jury, 12. W9 Kemble Aylett, 13. T19 Brett Dawkins (14). DNF: T79 Jason McPherson (1). Total Time: No Time. Winning Margin: 0.791. Fastest Lap: 16051 Q36 Darren Kane. Even Final, 15 laps: 1. Q1 Mat Pascoe, 2. S47 Ryan Alexander, 3. T41 Adam Beechey, 4. S1 Dave Gartner, 5. N21 Darren Anning, 6. T16 Corey Smith, 7. W99 Lee Aylett, 8. V0 Lucas Roberts, 9. T61 Laura Davidson (14), 10. T71 Robert Bird (14), 11. T4 Marcus Alexander (14), 12. T24 Anthony Manion (14), 13. T47 Lucas Dillon (14). Total Time: 4.09.809. Winning Margin: 4.771. Fastest Lap: 16.288 Q1 Mat Pascoe. Photo: David Nichols was in fine form on Friday night and sits third on points. 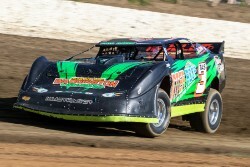 Photo courtesy of Angryman Photography.